If there’s one trend that’s reigned supreme over the last few seasons, then it’s definitely athleisure. We’re talking about hoodies, leggings, sneakers and jackets that are the must have if you think about athleisure clothing. In fact, athleisure clothing is one of the prominent pillars of the ever-expanding street style movement. 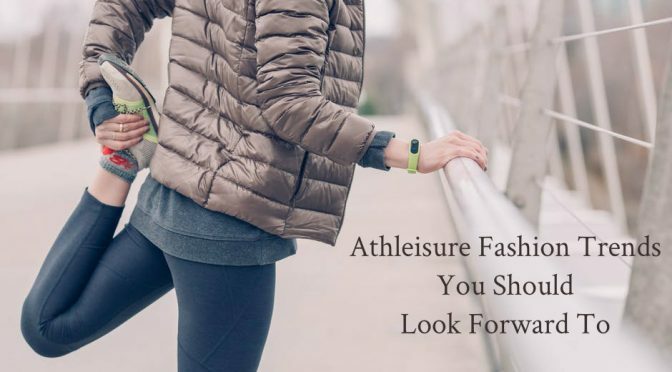 The athleisure trend has influenced the millennials to such an extent that they have really taken up fitness seriously. Hence, if you want to continue the same in the upcoming year then look through the blog to know about the trends of the year. The sneakers have become a hot favorite of everyone. So much so that it has been included in the workwear as well. Hence, the next time you go out for the meeting or even the dinner that you’ve been planning with your colleagues for so long, wear the branded sneaker. There are two ways you can actually wear with your business wear, one, either make it a part of your clothing and wear in similar colors or make the shoes stand out by choosing a pop color. Jacket has always been one of the essential parts of winter wear. These are comfortable, moisture wicking and most importantly available in many stylish designs as well. This jacket is not specifically a jumper or a pullover, but a normal jacket made of a technologically modified artificial fabric. In fact, these jackets are extremely versatile in nature and can be worn with different types of outfits as well. Thus, you can find such jackets at popular jacket manufacturers at affordable prices. Tracksuit is something that were having a moment in the late 2017. But now it has made a comeback. The tracksuit can be worn as it is, or the separates also look cool with other clothing alternatives a well. The track pants are something that will look really good with a fitted crop top or even a strapless shirt. Same way an oversized track jacket is meant to be worn with a legging. In 2019 the focus will be put on the color schemes that will eventually help in styling an ensemble. You don’t have to stick to complete neutrals anymore or haphazard color co-ordinations. Color schemes works well for work wear but now you can imbibe it in the athleisure clothing as well. Go for a range of blues, reds or even yellows. These are super cool to look at and will make you feel confident as well. Retailers can get in touch with one of the popular wholesale leggings manufacturers and browse through their latest collection of fitness wear clothing. After selecting the required pieces state the bulk needs to the customer care team.